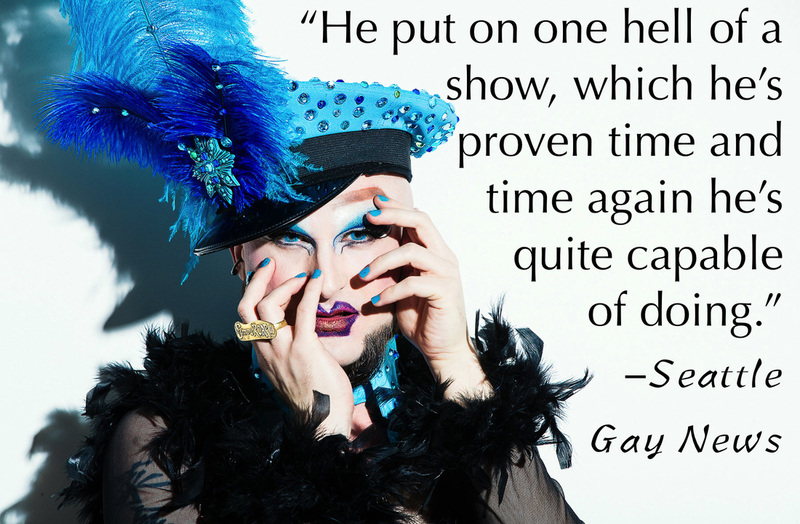 "Up second was another representative of the amazing talent from Seattle, bringing a completely different perspective to the Boylesque category. EmpeRoar Fabulous knocked it out of the park... This was by far the most fun number of the category... His stage presence was infectiously joyous, his timing was impeccable, and his choreography on point." "The show didn’t stop between the acts, as Fabulous proved himself a funny, witty, and truly brazen emcee. "- Seattle Gay News. Photo: Scott Foster for The Burlesque Hall Of Fame.